teachers collaborate with and are supported by a Librarian, Technology Coordinator and specialists who teach Spanish Language, Music, Art and Physical Education. 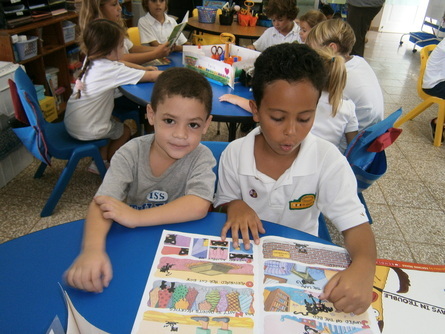 All subjects are taught in English with the exception of daily Spanish language classes. A standards-based curriculum drives instruction in the elementary school. Teachers use a theme-based approach to instruction, and integrate subject areas when possible. Real world lessons and hands-on experiences are incorporated within daily instruction to link theory with practice. The wide range of language abilities among students at ISS require teachers to implement a variety of instructional strategies to engage the students in learning, facilitate their growth, and encourage success. Spanish as a Second Language (SSL) classes are available for non-Spanish speakers and English language support is given to students who need reinforcement. In addition, teaching assistants work with individual students in the classroom to provide individualized instruction and support. ISS utilizes standards-based assessment in Grades K-5 to describe what a student should be able to do at each grade level in all subjects. Standards-based report cards provide a clear picture of what the student knows and the extent to which the student has mastered the skills required to move to the next grade level. Portfolios allow students to chronicle their learning and achievements. Twice a year, students present their portfolios to their parents and discuss their goals and achievements. We encourage our parents to be actively involved in their children’s education, to read with their children nightly and to encourage them to strive for excellence. Moreover, we welcome parent volunteers on campus in classrooms, the library and at special events. The best thing about ISS is that students love coming to school! 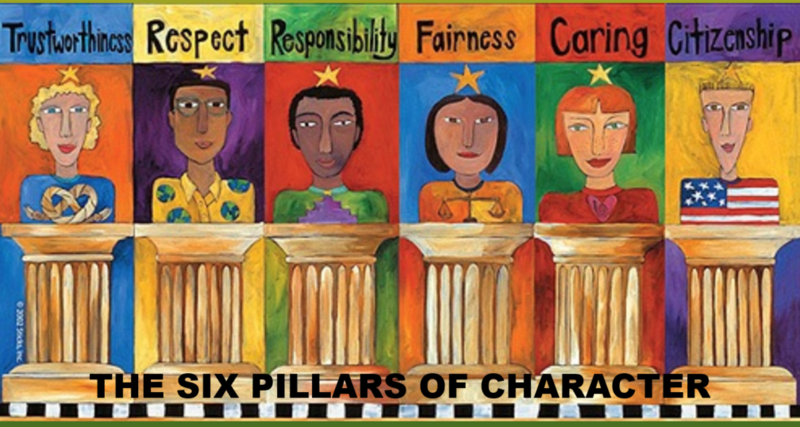 This year, as an elementary school, we will continue to implement a character education program called the 6 Pillars. This program focuses on 6 different traits; Caring, Responsibility, Trustworthiness, Fairness, Citizenship and Respect. During the year, classroom teachers will be teaching lessons around a certain trait. Our current trait is Fairness. Here are some key messages around internet safety that could help parents help their children.In addition to following these tips, parents might want to install filters on their home computers. 1. Don’t let potential problems stop you from letting your child use technology for their education and personal interests. 2. Put computers in a communal area of the house and don’t allow portable internet devices (laptops, phones, tablets etc) in the bedroom. 3. Find out what your child is doing online. Talk to them regularly about what websites they visit and take the time sit with them as they use the internet. Make sure you’re familiar with how the sites that they visit work. 4. Encourage your child to tell you if they ever have a problem on the internet or if they’re ever unsure about anything. Reassure them that you won’t take away their connection to the internet if issues occur. 5. Remind your child to keep personal information private. YAPPY is a useful acronym to remind children of the personal information they should not share on public online spaces (blogs, forums etc.) – Your full name, address, phone number, passwords, your plans. 6. Remind your child that not everything on the internet is true and not all internet users tell the truth. 7. Don’t support your child to sign up for sites that are 13+ if they are under age (Facebook, YouTube, Instagram etc). Make sure your child sets their online accounts to private to limit access to people they know well (when they are old enough to sign up). 8. Encourage your child to balance their leisure time so they’re not spending all of their time online. 9. Create your own internet rules for your household and have your child agree to adhere to them. 10. Explore government resources for parents so you can educate yourself and protect your children on the Cybersmart website.